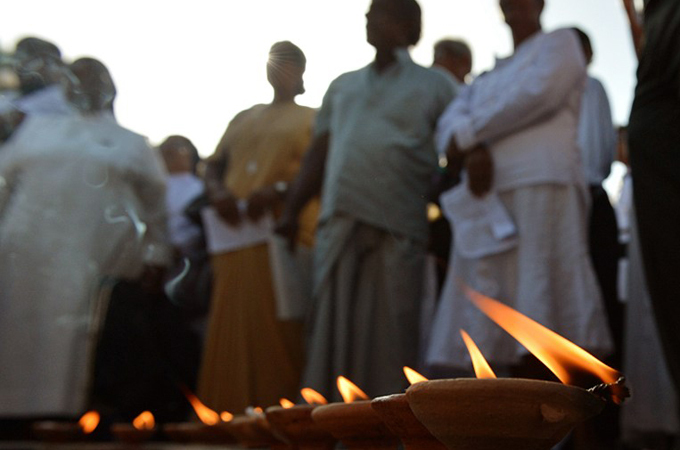 The Roman Catholic Church has accused the Sri Lankan army of shooting unarmed protesters and desecrating a church during demonstrations against water contamination.In an unusually strongly worded statement on Wednesday, the Archbishop of Colombo condemned “unhesitatingly” the military shooting that killed three people and wounded more than 50 others in a village just outside the capital last Thursday.Cardinal Malcolm Ranjith accused Sri Lanka‘s army of violating the sanctity of St Anthony’s church, beating up people who rushed there to escape the army shooting. “We wish to condemn unhesitatingly the attack that was carried out by some elements of the [armed] forces on people who had sought refuge at St Anthony’s church,” the archbishop said. The vigil and the cardinal’s statement came as two of the victims were buried in the village of Weliweriya on Wednesday amid mounting protests from opposition political parties against the military attack. The main opposition United National Party (UNP) has criticised the army’s plans for an internal military probe and demanded an international investigation into the deadly crackdown. “We cannot accept the government getting one of its henchmen to probe the killings,” UNP general secretary Tissa Attanayake told reporters in Colombo on Monday. “The Sri Lankan army should have never been policing unarmed demonstrators in the first place,” Polly Truscott, Amnesty International’s deputy Asia-Pacific director, said in a statement. “Having them investigate their own alleged abuses is simply ridiculous,” she added.